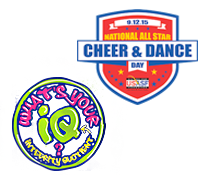 For U.S. based companies or organizations from which one or more team attends USASF Sanctioned events. All Star Programs will have at least one owner/coach and 4 or more athletes associated to their program profile. Annual membership fee is $150. Contribute to the safety, integrity and growth of All Star through committees, polls, online forum (The Connection), attendance at the National Convention and participation in Regional Assemblies.